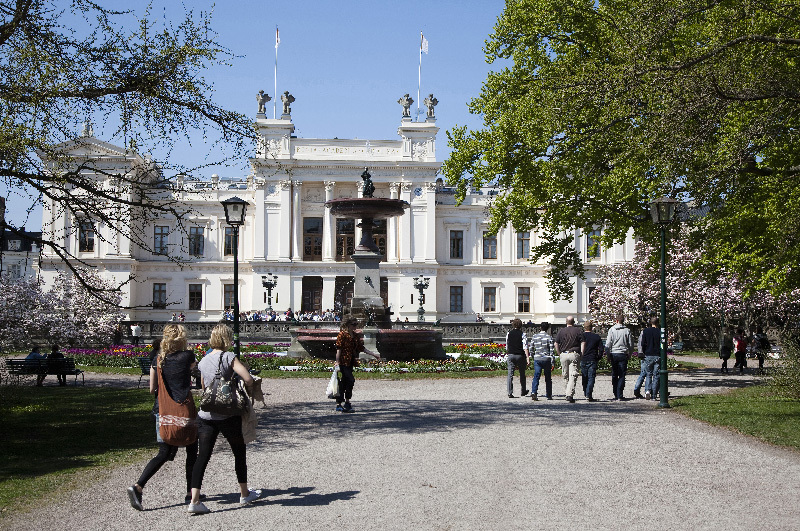 Lund University has an opening PhD position in environmental sciences. The funds for this fellowship are available for 4 years. Applicants should apply before October 14, 2018. The Department of Geology has a long and successful history of research with an international reputation throughout the entire geological field and offers nationally leading undergraduate programmes at Bachelor's and Master's levels. About 40 researchers/teachers and 20 research students are active at the department, which consists of two sub-departments: Quaternary Sciences, and Lithosphere and Biosphere Sciences. Rock aggregate materials produced from crushed bedrock are by far the most widely exploited natural resource in Sweden (c. 8 tons per person and year), used for roads, railroads, and production of concrete. Variations in technical properties of the bedrock call for a prediction model addressing these variations with metamorphic state, primarily metamorphic temperature, strain, and the presence of hydrous fluid and/or partial melt during metamorphism. Applications are invited for a four-year PhD-position investigating this variation with focus on micro-structure and micro-texture, along a metamorphic field gradient from epidote-amphibolite- to high-pressure granulite-facies. The PhD position is placed at the Department of Geology, Lund University, and involves collaboration with the Geological Survey of Sweden and Research Institutes of Sweden AB (RISE). The main aim of the PhD project is to address the variations in technical properties with metamorphic conditions, primarily temperature, strain, and the presence of hydrous fluid and/or partial melt during metamorphism. The PhD student will work with samples from the Eastern Segment, along a 120 km long and 30 km wide profile across SW Sweden (Skillingaryd-Vrnamo to Varberg-Falkenberg). The investigations include: 1) petrographic documentation of textural and micro-structural variations in metamorphosed granitic and gabbroic rocks, respectively, 2) measurement of technical properties of the same rocks, and 3) correlation of technical properties with metamorphic state. Micro-analytical techniques include: polarized microscopy and image analysis, fluorescence microscopy, scanning electron microscopy, and energy-dispersive X-ray analysis. The PhD student will spend 2×3 weeks at the Geological Survey in Uppsala for measurement of technical properties. The project will allow the candidate to develop the later part of the PhD project within her/his special field of interest, within either metamorphic petrology or material science. Principal supervisor is Prof. Charlotte Mller (Department of Geology, Lund University); co-supervisors are Dr. Jan Erik Lindqvist (Research Institutes of Sweden AB, Lund) and Senior Geologists Dr. Jenny Andersson and Mattias Gransson (both at the Geological Survey of Sweden, Uppsala), and Dr. Urban kesson at the Swedish Transport Administration. The four-year position consists of (in total) three years of research and one year of PhD courses (given at Lund University and elsewhere). The PhD student is also expected to take an active part in the department's teaching program and help out with basic educational tasks. Departmental duties, such as assistant teaching, are allowed to reach maximum 20% and are compensated through extension of the position. We are looking for an independent and creative person who thrives in a research environment. The applicant should be committed and focused, and be able to take responsibility for her/his research project. Ability to work well independently and with others is a necessity, as are strong communication skills. The successful applicant is expected to hold a Master of Science degree (or equivalent) in Geology or Earth Science, with a strong background in petrographic microscopy of metamorphic rocks, metamorphic petrology, and structural geology. Documented experience of research and interest in metamorphic geology is strongly desired, and proven skill in scientific writing in English, such as publications, essays, or equivalent, is essential. Documented experience in scanning electron microscopy and mineral chemical analysis (EDS/ WDS) are desirable merits, as are well-received teaching contributions. - Letter of interest that describes the applicant's background, interests and ambitions in relation to the project (one page). - CV comprising date of birth and complete listing of BSc and MSc grades, plus contact information of previous employers or internship advisors. - A PDF file (or link for downloading) of publications including Master's or Bachelor's theses. - Name and contact details of at least two references. Candidates may be called for an interview.